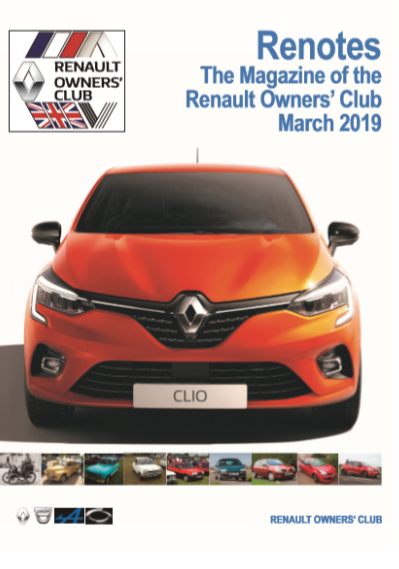 March Renotes 2019 is now on the way to members with the date for the club AGM and a number of other exciting events and items from members. Please consider coming to the AGM as without the long term active members giving us guidence the club has no idea what to do. The AGM is also the chance to vote for a committee to act in your interests and if you don’t come you might end up with one you don’t want. © Renault Owners Club 2019. All rights reserved Registered Company Number: 05364708.